Gordon Clark B.M.T., M.T.A. | MTC Studio Inc.
Gordon Clark brings a wealth of performance and teaching experience to his work at MTC Studio, having worked earlier in his career as a bassist in the cruise industry, toured Europe with jazz ensembles and taught bass, guitar and voice privately. We are very excited to have a person of his skills and experience on the team. 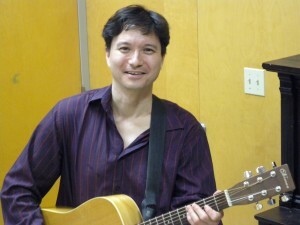 He brings his performance and music education skills into his Music Therapy work which makes for truly inspiring sessions.